Knowledgeable, thorough but succinct. I felt like there was no wasted time. Knowledgeable, thorough but succinct. I felt like there was no wasted time. Class was very informative, relaxed and convenient. Would like to have locations closer. Not sure why Springfield, IL. wasn't... Class was very informative, relaxed and convenient. Would like to have locations closer. Not sure why Springfield, IL. wasn't an option early this year. Overall, had a great time. It was a good experience. The room seamed a little small for the afternoon activities. It was a good experience. The room seamed a little small for the afternoon activities. Habitat for Humanity of Washington & Dodge Counties S.
Eric made the learning experience enjoyable. Reference materials were great to follow. The additional staff that was teaching... Eric made the learning experience enjoyable. Reference materials were great to follow. The additional staff that was teaching the hands-on were extremely friendly in critiquing students from video to actual application of procedures. Well Done!! Was knowledgeable, articulate, and responsive. Did an awesome job! Was knowledgeable, articulate, and responsive. Did an awesome job! Had a great time. The instructor was really good. Had a great time. The instructor was really good. The instructor was good. Knew lots of stuff!! The instructor was good. Knew lots of stuff!! Eric was very good. Very thorough. Very approachable. I was pleased with the experience. Eric was very good. Very thorough. Very approachable. I was pleased with the experience. Was a very thourough course, gained valuable knowledge i didnt have before! Was a very thourough course, gained valuable knowledge i didnt have before! Rocky was awesome and made the experience great. He was super friendly and easily approachable with questions. Rocky was awesome and made the experience great. He was super friendly and easily approachable with questions. Very informative, instructor was very well educated. Very informative, instructor was very well educated. Good class with a lot of good information. Really eye opening regarding the concerns of lead. Good class with a lot of good information. Really eye opening regarding the concerns of lead. Good course &amp; very informative. Rocky was a good instructor! Good course &amp; very informative. Rocky was a good instructor! Good course. The instructor was very prepared and provided a lot of good information. Good course. The instructor was very prepared and provided a lot of good information. Rocky, I have to say you were/are a really good instructor! I learned a bit about the severity of lead poison.. especially... Rocky, I have to say you were/are a really good instructor! I learned a bit about the severity of lead poison.. especially when childeren are affected.. Defiantly made me a more cautious contractor when it comes to dealing with lead jobs... Thanks again! The instructor was very knowledgeable. The instructor was very knowledgeable. Very well done. At the end of the class I was extremely confident to handle work. Very well done. At the end of the class I was extremely confident to handle work. The instructor was good on explanation for everyone who had a question, on lunch he still answered some questions that I... The instructor was good on explanation for everyone who had a question, on lunch he still answered some questions that I asked him, I like that he explained so everyone could understand. Good content and course. No food or drinks in the room is the only drawback that kept you from getting 5 stars. Good content and course. No food or drinks in the room is the only drawback that kept you from getting 5 stars. It was an extremely detailed course with a lot of information. The hands on part of the course in the afternoon was helpful.... It was an extremely detailed course with a lot of information. The hands on part of the course in the afternoon was helpful. It allowed me to apply what we learned in the book that morning to "real life" situations. Training was very good. Training was very good. This lead course was top notch! We covered all 8 chaoters of information in the allotted time and we put it into action... This lead course was top notch! We covered all 8 chaoters of information in the allotted time and we put it into action with the hands on modules. I would say the class was a great experience. The instructors were very knowledgable and really made for a fun and engaging classroom experience. Rocky, did an awesome job of presenting the material and demonstrating procedures. Would enjoy taking more classes from Rocky. Rocky, did an awesome job of presenting the material and demonstrating procedures. Would enjoy taking more classes from Rocky. Rocky was a great guy who kept us interested even though we were a class of only three people. Rocky was a great guy who kept us interested even though we were a class of only three people. The instructor was experienced and knowledgeable. The class went smoothly and we stayed on task to get through all the material. The instructor was experienced and knowledgeable. The class went smoothly and we stayed on task to get through all the material. It's a boring class but the instructor was good. It's a boring class but the instructor was good. Very informative coarse. Very informative coarse. I found the instructor to be knowledgeable and friendly. He kept the class interesting with just enough small talk which... I found the instructor to be knowledgeable and friendly. He kept the class interesting with just enough small talk which made it easier to stay focused on the material. Great Class would recommend to all Contractors for the knowledge if anything! Great Class would recommend to all Contractors for the knowledge if anything! very good. very knowledgeable. very good. very knowledgeable. Very useful material was covered. Instructor was very informed. Very useful material was covered. Instructor was very informed. Well organized and very informative. You could tell he has experience in what he was teaching and relayed that practical... Well organized and very informative. You could tell he has experience in what he was teaching and relayed that practical information very well. Rocky was well versed in the curriculum and very knowledgeable on the content, both handson and course work. He answered... Rocky was well versed in the curriculum and very knowledgeable on the content, both handson and course work. He answered all questions and gave reallife examples. I would highly recommend this class to peers. Overall very good and informative. Videos need to be updated in my opinion. Overall very good and informative. Videos need to be updated in my opinion. The Trainer we had in our class was very informative and explained everything in good detail. Overall the class was great... The Trainer we had in our class was very informative and explained everything in good detail. Overall the class was great and our company has plans on continuing classes with you guys in the future. Long day but great class. Educational and some interesting facts. Good hands on portion. Long day but great class. Educational and some interesting facts. Good hands on portion. I felt he was good and very informative. Covered the topic completely. I felt he was good and very informative. Covered the topic completely. Jaime was very informative during the lecture and supportive in the handson activity. He increased my knowledge and understanding... Jaime was very informative during the lecture and supportive in the handson activity. He increased my knowledge and understanding of lead and all the precautions to use in the field. 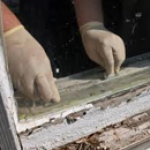 As one of the first lead trainers in the nation to receive EPA approval in 1999, MidWest Certified Training, Inc. (MWCTI) and Milwaukee Lead/Asbestos Information Center (MLAIC) together are the largest lead paint abatement training provider in Wisconsin. 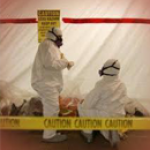 We have been providing training since 1987 for asbestos and lead professionals and our students learn directly from seasoned trainers who have significant field experience. 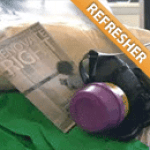 Many of our offerings are EPA and WI DHS approved in Spanish, including Lead Safe Renovator Initial classes. Join the over 45,000 professional who have chosen MLAIC/MWCTI as their service provider and business partner.